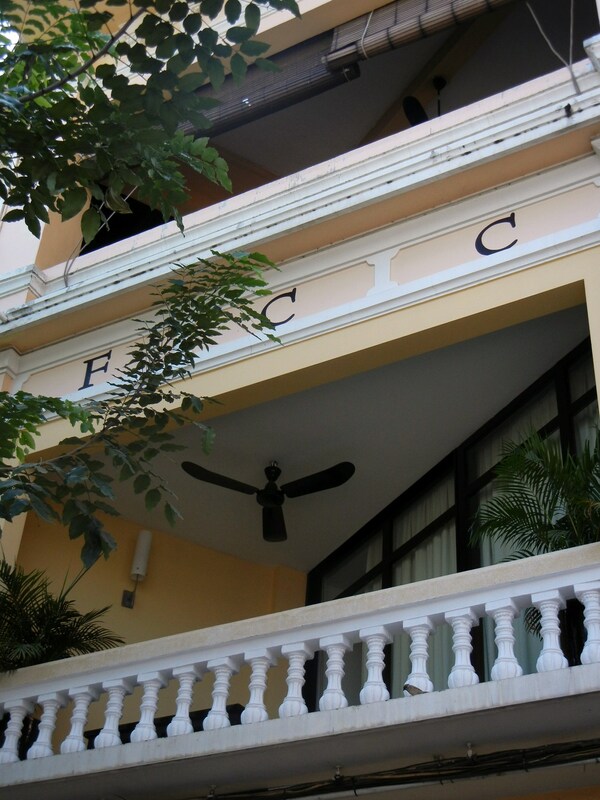 The FCC operated in a similar fashion to the Rex Hotel in Saigon. The Rex served as a center for journalists during the Vietnam conflict. The rooftop bar played host to soldiers on leave, journalists on assignment, CIA operatives, consulates, foreign ministers, dignitaries, celebrities, and opportunists. In either place a wartime cocktail of heat, courage, adventure, and truth existed. Finding its outlet in the written word. Conveyed to an audience thousands of miles away who had little comprehension of what was really going on. What it was really like. The price you paid for knowing this first hand was the razors edge of danger and sometimes even death. In the 70’s the foreign correspondents who made this their beat walked a tightrope for sure. The country was crashing in around them yet they were bound by a sense of duty, or more possibly an intense distaste for the conventional norm, to report the events to the world. By 1976 this era was over. Today the Foreign Correspondents Club continues on as a bar and restaurant. On the walls are black and white photos depicting the countries troubled past. Like so many buildings around the world this one oozes a sense of history and nostalgia. For me, places like this become beacons where I can sit and soak up the past. Through every pore, by the use of every sense, and by a vivid imagination I can carry myself back so that a bird’s eye view becomes available to me…just a glimpse, just a flicker, but it seems very tangible. On my final day in Phnom Penh I decided to write here in this place. Jot down my impressions of Cambodia. I felt that by doing it here I would have a greater chance of adequately describing things the way I felt them. Put them into a context that would render them with the utmost clarity. It’s a country I am absolutely sure I will return to but first impressions only happen once. I want to capture those. Cambodia certainly plays upon a mosaic of emotions. I have been asked many times over the years what my favorite country is. My answer has always been long as this type of question cannot be answered in just one word; one countries name. It depends what you are looking for. I could say Indonesia or Thailand because there are some great beaches where partying all night long is commonplace. Fun is the prize and its readily available. I could say India because it assaults you. It makes you unlearn everything and if you last long enough it gets under your skin. You don’t know why but you fall in love with it, you just do. You fall in love with the chaos, the lying, the dirt and dust, the colors, the noise, the craziness. I could also say Tibet because like Cambodia it is host to a horrific modern history. As you journey through it your emotions are taxed. From the warmth and generosity of people who have little, to the stories they tell, with a smile, about the subjects relevant to their lives. Kidnappings, beatings, murders, and other atrocities inflicted upon one human by another. There are plenty of people in the world today who know little else. Their lives have been so fully oppressed that recalling a story, even a happy one, is far from what we would deem happy by any stretch of our imaginations; its one of the saddest things to witness. Another human completely void of a joyful recollection. To me, a departure from my zone of comfort is what makes travel such a worthwhile endeavor. It opens your mind to the depths which man has, at times, sunken but it also spot lights in a resounding glow the pinnacles to which he has risen. The two cannot often be reconciled. It is here, when you find these extremes in one country, that you can understand your own privilege. It is here, bracketed by opposing circumstances on a rollercoaster of emotions that I find my favorite countries. Not everyone’s cup of tea I realize but our world is not all chocolates and roses. It had been several years since I had been traveling in a country that brought this sentiment home to me in a resounding thud. Cambodia allowed me the privilege of seeing the worst with the best. The valleys were most definitely deep; the peaks most definitely soared high. It took me only a few days after arriving to refer to Cambodia as a special place. It took me only a few days more to realize that I would be returning. A true description of Cambodia does not lay in the vibrant colors of its landscape, it does not lay in the magnificence of its temples and stupas, it does not lay in its fascinating ancient history or its more bleak modern version, it does not lay in the country’s religion or its people. It does not lay in any single aspect but rather in a combination of them all along with the perspective of the individual traveler. I guess you could say that about any country but because Cambodia has such extremes it makes you choose how you are going to feel. It’s like someone you meet who becomes a lover. You can choose to love them or bid farewell and never really commit to looking under the hood of possibilities. It doesn’t force its love under your skin like India does; you must choose. It doesn’t have the sophistication of Thailand to seduce you, or the “in your face” smiling aggression of Vietnam to beguile you, or the innocence of Laos to charm you…you must make a deliberate choice. To understand Cambodia is to ask too much. My description of Cambodia is a personal one and was not intended to be a brochure type sales pitch. The country has within its borders all the beauty found in other South East Asian countries. It is a quintessentially exotic part of the world that is mending and changing. Cambodia is a destination worth undertaking. To see it now will be a very different journey than to see it in ten years. Tim, I love the way you tell a story. Something in your wording creates a beach campfire surrounded by avid listeners hanging onto everything you say. You take a subject, unfold it like a napkin, and use a magnifying glass to explain the design that was invisible until you identified it. Wow! Wow is my response back to you Deidre; really nice of you to say and am glad you are enjoyed it. I understood exactly what you meant in this post. Traveling to different places allows you to see the good and the bad. It helps shape your views as a person. I can not wait to use my passport and see the world. What a wonderful post, Tim! It is very evident that you must have lived in Southeast Asia in a previous life as your spirit seems to belong there. I’ve not yet been to Southeast Asia, but somehow it doesn’t call me. I know that one day I will go, as that region will be covered in the 3rd volume of my chocolate travel book. But somehow, to this point in time it is not one of the regions that has spoken to me. Thx for sharing your thoughts on how each country differs from one another and has left its mark on you. I will definitely share this post with others. I have read all your posts about Cambodia and I feel that it is worth visiting. This post is written very beautifully and I think all the countries of South Asia as almost same in one way or the other. It is great to travel around the world and have great experiences. All the best. Haunting, beautifully written post – a “mosaic of emotions”. I’ve enjoyed reading all your posts on Cambodia. It was not a place I’d considered visiting before – I’m interested now. It is certainly not a country that would disappoint. Glad you enjoyed reading about Cambodia Donna. It seems perfectly fitting that you wrote this post from the foreign correspondents club. I love your raw and honest description and you are right, our world is not all chocolate and roses. What a wonderful end to this journey Tim. While I haven’t traveled in the same parts of the world as you I have been blessed to spend quite a bit of time in Europe, Australia, NZ, Japan, etc. Each area has something unique to offer. Even here at home, people always ask me which Hawaiian Island I like the best. Well, I live on Maui so that probably says a lot, but the truth is even here every Island has it’s own unique flavor – and I love it. Oh man, I am SO ready for a road trip! It is always a little sad to leave a place that you have come to love. To know that it will be different when you return. Thank you for sharing so many sides of Cambodia with us. I am glad I had such an interactive audience; it was a pleasure to share. Tim, you’re an inspiration for anyone who desires to travel. I’ve heard people use the expression, ” I want to see (pick a country)”, but you demonstrate how people can absorb a foreign land. I’ve learned from your post that “see five countries in 2 weeks”, will do little more than watching a good Travel documentary. In fact, you’d probably learn more about a country from the film than you would touring a new city for a day. It seems taking the time and staying longer offers a deeper and more fulfilling experience.Thank-you. For me, taking your time to slip into the rhythm of the country you are exploring has always been the best approach. Thanks Pamela. I can only imagine the stories that were told at the FCC. Places like that are often an oasis of truth amidst a world of spin, promotion and deception. Sounds like an uplifting place to gather your thoughts together and express them. You are right, every country has things we adore, love, dislike, and simply hate. Things we could not accept if we lived there but can tolerate when we just visit. You are a wonderful and sensitive writer. Glad we met. Tim. this post was a bit haunting – the words are going to stay with me for awhile and that is good. Wonderful that you wrote this post now – it will be interesting to read the follow-up one when you do return some time in the future. I am looking forward to writing that as well Lenie and eagerly await my return to this country. If walls could speak, what stories would the FCC have to tell? I imagine sitting in that now bar & restaurant can provide a most interesting experience for those with an artistic bent. I liked what you said about “departure from one’s zone of comfort.” For me, foraying in that area it is what often yields memories truly worth savoring. From my travels in Asia, only China and Japan to date, I know what you mean by a place getting under your skin. With China it’s been a full-fledged love affair, with beauty and pain all mixed together. I find that having a knowledge of the history of a place highly engages my imagination and enriches my imagination when I am there. Am I correct in thinking that this is how it is for you too? Exquisitely written, Tim. As a reader, I can feel Cambodia as it seeps under your skin. Indeed, you made that choice to love and appreciate…warts and all. Plus a whole lot of hope for a brighter future. Wonderful…. Yes, Cambodia was definitely one country that got under my skin and I fell in love with it for sure. Myanmar and Laos had a similar affect on me. I love the title. I think many of us shy away from things that make us uncomfortable, but it seems that keeps you moving forward. It is wonderful that you have this vehicle to show the world all that Cambodia has to offer. This blog has certainly been a great way for me to share and record my travels. I am glad you enjoy it Erica. Thanks for sharing this harsh but true post, Tim… I like how you wrote it, helps me see Cambodia through your point of view, and that’s priceless. I just wish that I learned history like this when I was in school. Traveling to learn history is SO important. Thank you for this eye opening perspective on Cambodia. I have heard of it obviously, but I did not know much about the country! I would love to travel overseas. Sounds like such an amazing experience. Wow, what an experience. I feel as if I have been there now! I love learning about places outside of the US.. places that I most likely will never visit to be honest. The history is fascinating. I find this an oddly soothing piece and also I loved the structure of the post. I have never been to cambodia but this makes me feel like it is a space I would enjoy visiting simply for the history and colour. What a beautifully written post. Travelling really helps broaden our own horizons and perceptions of the world around us. Thank you for sharing your trip to Cambodia with us. I have never been but would love to go. The pictures are beautiful. I hope one day to experience what you experienced. What a beautiful post to open our eyes to the reality of our fellow brothers and sisters in other lands. Thank you! You will love it there. So many extremes that make you embrace the positives. All the best. I’ve never been to Cambodia but things sure are different from what I expected, you’ve really opened my eyes to the things that are going on there. Thank you for sharing such an informative post. Wow, what a fascinating piece. My husband and I are thinking of Cambodia/Viet Nam/Thailand as our next trip. We have quite a few friends who have been there, and I really appreciate reading your perspective. You will love it I am sure; all three countries offer something different. I have no desire to travel across the seas, but I do enjoy hearing and learning from real people about places abroad. i believe it gives us a sense of feeling of being there and far from what you see and hear in the public media. very enjoyable! wonderfully written makes me want to come visit Cambodia one day. Things sure have changed in Cambodia. Someday I would love to visit that country! What a beautiful post. I am so glad you liked Cambodia. I lived in Cambodia for two years until November last year and I loved every minute of it. I met many travellers who rushed through to tick off Angkor Wat, but never ventured out further. I have met many travellers who stopped by in Phnom Penh to visit the killing fields and in a sick twist afterwards shot at cows in a shooting range, but a lot of them said that they didn`t like it. I always told them that you cannot truly understand and fall for a country in only a few days or by shooting at cows with an AK47. As an aid worker I was lucky enough to visit remote villages all over the beautiful Cambodian countryside. I have never met more friendly people in my life. Stricken with poverty, they would still offer me a bowl of rice and water whenever I came to visit them. Cambodia touched me and its people touched me. If only tourists would dwelve more into the history and in the less touristy parts they will be surprised by how beautiful Cambodia really is. Yes, the whole cow shooting thing was a little weird to me but illustrated the point that Cambodia is definitely the wild west of Asia. You are right though, it is a beautiful country with warm friendly people and is a place that touched me. I look forward to returning. Cambodia really has a checkered past, full of tragedy but also as you say, a glimmer of hope for the future. When people like yourself spread the word from the front lines, as it were, it changes our perceptions. And it may pique the interest of those who’d like to find out more for themselves. So good on you! I am pretty sure in ten years Cambodia will be unrecognizable against the Cambodia of today. I will go back for sure; so much more to experience. Your description of your travels inspires me to want to learn more about the places I long to see. And not just what the tourism industry wants me to see. Thank you very much. You are correct in wanting to see things on your own terms. So much more of real life happens that way. I love your thoughts about Cambodia as I agree completely. It has been ten years since I went, and I have always wanted to go back. It definitely did get under my skin and move me like no other country I have been to. It seems to have that affect on a lot of people. Like India it is one of those love it or hate it type of places. Thanks Jeri and absolutely not. Your pieces on writing are helpful and reassuring so keep them coming. I’m grateful to learn vicariously, through your travels, of places I have not yet experienced and for the reality of what these places are really like. You’re right. The world is not all chocolates and roses. But many places will perpetuate myths to encourage tourism, Call me pragmatic, but I like learning about the back streets of the places we go, not just experience the window dressing. We have volunteered at orphanages in Brazil on the edge of drug-infested slums (known as favelas) and gutted houses in Katrina stricken New Orleans over a couple of weeks. I have been invited to a delegation in Nigeria next year, have a dear friend in Ghana and have another colleague that would like me to attend Vietnam with him for a month. I look forward to seeing these places with my own eyes. You’re very welcome Bill and glad you feel like you are traveling vicariously through me. I went to Vietnam a few years ago and Brasil a couple of decades ago. Never Ghana but is on my list. Enjoy yourself when you go and enjoy the volunteering. As you know it is one of the best experiences a person can have. I did it in India and look upon it as pretty life changing. Very nicely written, its always good when a person seems to enjoy what they are writing about. Thank you and yes, I do get a lot of enjoyment out of writing about my travels. I remember popping in here for a Fanta and loved the ceiling fans. Do you really think it will be a different country in ten years’ time? I do. The change that is taking place is one I have seen before. In Kashmir, in Tibet, in South Africa; all places that had turmoil then came out the other end swinging. Wonderfully written. 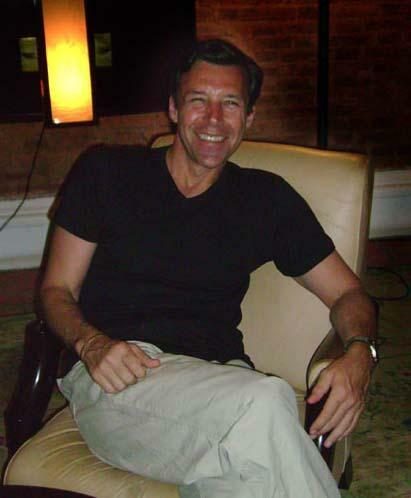 I have volunteered in Cambodia for months & have lived there as expat. I have seen both sides of the country. I can so empathize with this post. Thanks so much Nisha. One of the things that is very apparent when in Cambodia is the amount of volunteer initiatives being undertaken. A reflection of the tragedy this country has gone through while at the same time a beacon for hope as the country heals.